Sometimes you just want to share your happiness with the whole world, right? Or at least with your distant friends, not to mention having a video of the event for reminiscence or a reminder of what a great day it was. It’s like wedding photos, only twenty-first century. How do you have a broadcast wedding online? Well, you need the same things you need for just about any other streaming video. That includes cameras (and possibly capture devices depending on your choice of cameras), an Internet connection that’s reliable and fast, an encoder or encoding software, and a streaming video platform. There are also some special considerations regarding broadcasting your wedding that don’t necessarily arise when considering how to stream live video. Spend some time while the wedding is in the planning stages preparing to do your broadcast, just as you do for the dress, the catering, or the band. The main decision to make is how professional you want the video to be. Do you want multiple camera views, zoom capability, high-quality sound, and studio-quality lighting? Or would you prefer a more down-home version that deliberately looks amateur and “home movie” like? There are good arguments for each. How much professionalism you want in your wedding video will determine such things as what kind of camera you want and how many of them, and how much broadcasting equipment and how many people you have involved. At a bare minimum, you will need a webcam and a hardware encoder, and one person operating the camera. This will produce a broadcast with a single view of the ceremony, ambient lighting, little or no commentary, and no fancy embellishments. The wedding will appear in the broadcast more or less the way it looked to observers. At the other extreme, you could have two or more high-quality HDMI cameras with capture devices, professional-quality encoding software either on site or at a remote studio, and studio lighting. Participants and guests are positioned and the whole thing choreographed with the video production in mind. The video will include close-ups of the faces of the bride, the groom, and perhaps others, as well as wider shots and some footage of guest reactions. How visible and intrusive do you want the video production to be on this, one of the most intimate occasions of your life? In addition to cost and time, the more professional your video production, the more its presence will be obvious to everyone involved. Live streaming broadcasts the wedding ceremony as it’s happening. The idea behind doing it this way is to let friends and family who cannot physically attend for some reason participate over the Internet. The other alternative (although there’s no reason you can’t do both) is to record the video for people to view later. You will definitely want to save the video just as you will want to keep wedding photos. Live streaming allows less in the way of “fixes” after the fact, but conveys an immediacy and freshness that even the best recorded video can’t quite match. If your wedding is being streamed live, you’ll want to decide ahead of time where it will be available, and send everyone who can’t attend in person a link to the embedded video stream. It’s a good idea to let your wedding guests (the ones that are attending in person) know that the video is happening. Point out the camera(s) and any other equipment and personnel involved, so that the guests know they’re on camera. 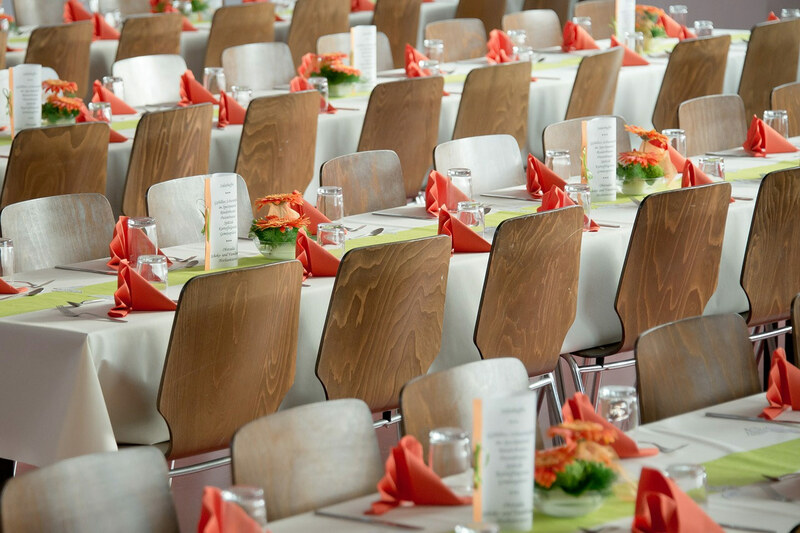 If you have any video-related instructions for your guests, such as where to (or not to) stand or sit, or anything you would like them to do at certain times, it’s a good idea to bring that up before the ceremony starts, perhaps at the rehearsal dinner. Remember that not everyone feels comfortable about being on camera, especially when they know the video will be broadcast. Having an area where the cameras will not be pointed and quietly letting anyone who expresses concern know where this area is, will help to alleviate any such worries. Holding a wedding outdoors is becoming more and more popular. 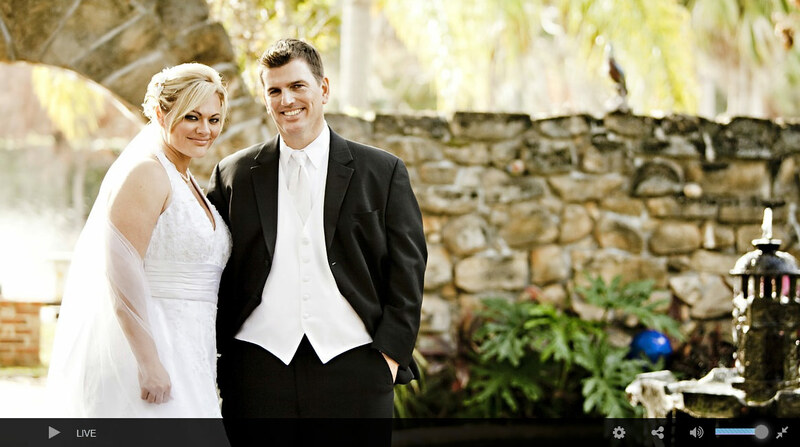 Outdoor weddings present special video challenges just like any other outdoor live streaming. We’ve covered some of those challenges here. The biggest hurdle is likely to be you Internet connection. You can’t use your in-studio broadband connection when broadcasting from a remote location. The most reliable solution is likely to be use of a mobile hot spot. Today’s smart phones can access a connection of about 6 Mbps wherever you can get a phone signal. Few weddings take place in such remote locales that that would be a problem. Another issue is electrical power, but again, outdoor weddings seldom take place in the wilderness, so you should be able to get electrical power from the same source as your band uses or that powers your PA system. Obviously you won’t be able to do anything with the lighting when broadcasting outdoors. You will need to ensure that your camera or cameras are equipped to handle the prevailing lighting conditions. This may be more of a concern with a wedding held at night than one held in daylight, and in that case you should test the camera under the actual conditions well before the ceremony so you have time to resolve any problems. When broadcasting over a slower Internet connection, you may need to adjust your settings to compensate. You can do this by reducing the bitrate quality, which should not exceed half of your upload speed. It’s generally recommended to do a speed test on location as well using TestMy.net. There’s a wide range of options for broadcasting your wedding. You can keep it simple, providing your friends and family with a way to attend your wedding virtually when they can’t be there in person, and yourself with a treasured keepsake. Or you can expend more time and money and make it a high-quality production like professional theater. Of course, the same considerations apply to the wedding ceremony itself and the party afterward. As a wise friend reminded me on the occasion of my own wedding, the marriage is what matters more than the ceremony.